The diet used for weight loss needs professional check. The main aim to get on the diet was to lose weight. Most of the subjects started the ketogenic diet as their friends had done so and lost weight. 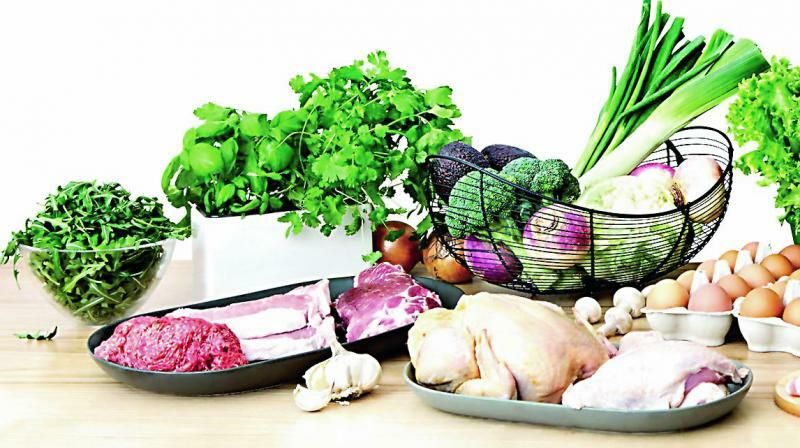 Hyderabad: The high-fat ketogenic diet that has become quite popular because it allows the dieter to eat foods high in fat, is actually putting a lot of people at risk. Hospitals have been getting patients on this type of diet reporting headaches, chills, memory loss, brain fog and dizziness, found a random study in the city. The study looked into the 5,000 cases of these symptoms that have been reported in the out-patient's departments of private hospitals in the last six months. In the course of the oral investigations to understand what had actually led to the condition, doctors came to know it was due to the high-fat diet. The body derives energy from glucose and when carbohydrates are not available, it moves to burning fat for energy, according to the theory. The transition from burning carbohydrates to burning fats takes two weeks. The shifting from glucose to fats for energy is found to differ from person to person. Some people find the high-fat, rich food difficult to digest and complained of constipation problems. The bodies of women in the peri-menopause and pre-menopause stage undergo a lot of hormonal changes. During this time they need more carbohydrates as the energy helps them handle the hormonal changes. Of the 5,000 samples studied, 3,500 were men and 1,500 were women. The main aim to get on the diet was to lose weight. Most of the subjects started the ketogenic diet as their friends had done so and lost weight. It was also found that while fat reserves are supposed to be burned up, the burning was more of the existing fat food consumed and not of the reserves. For this reason, the objective of weight loss in many people is not actually achieved. Research has also shown that short term weight loss does not translate into long term effects in these kinds of diets and most dieters regain weight rapidly, Dr Premlatha said. Dr Syed A. Kareem, a consultant physician, agrees that the ketogenic diet is usually unregulated. He says it is better to check one’s food habits and lifestyle and accordingly make modifications.